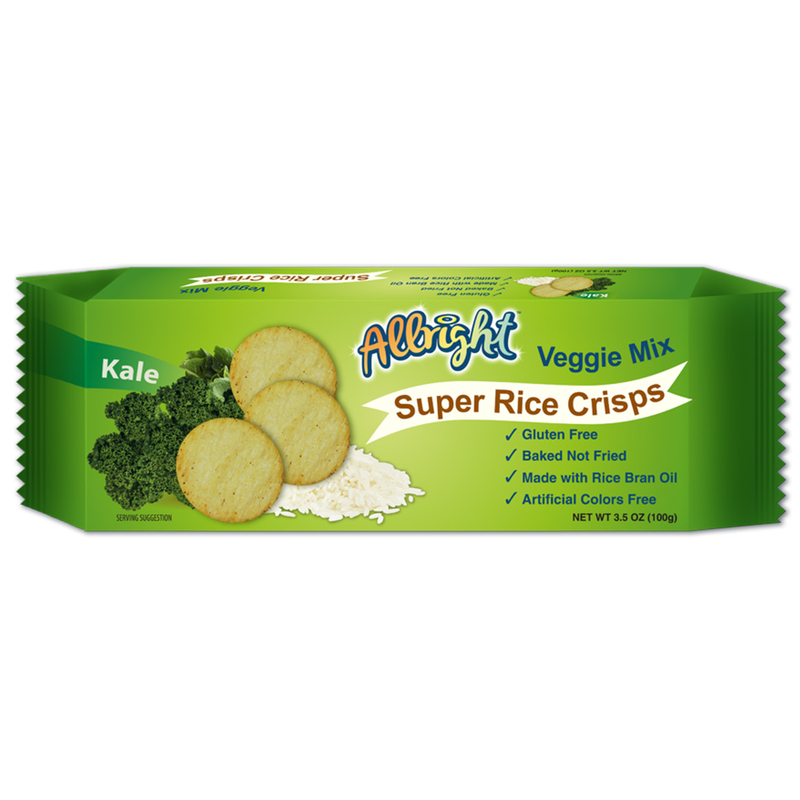 Allright gluten-free rice crackers are unique super rice snacks that give you more than just the usual snacking experience. 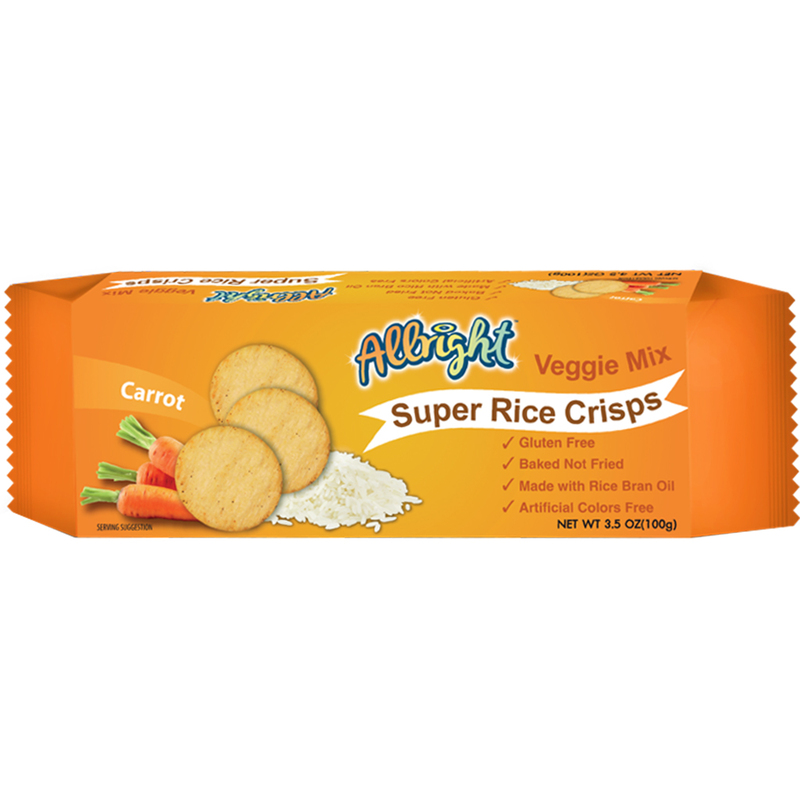 Each bag is a mouthwatering rice cracker mix of wholegrain rice and nutritious veggies. Every bite gives you a crunchy, crispy and flavourful mix of kale, carrot or mixed veggies. It’s a wholesome snack that’s sure to make you feel all right! 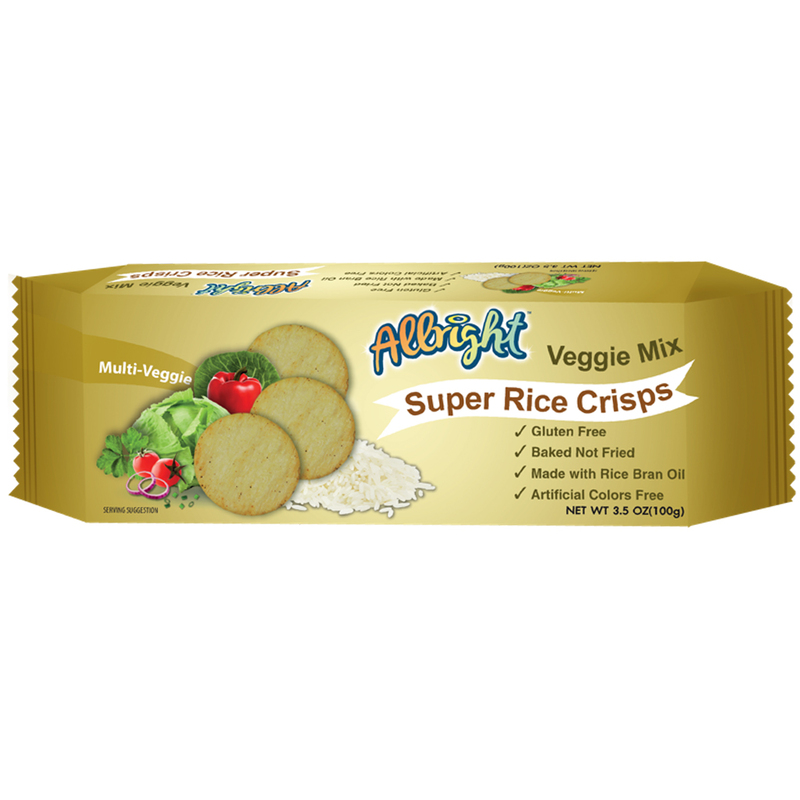 Allright crackers are a great snack alternative for those looking for a new, different, feel-good kind of snack. It’s free of gluten and artificial colors and is also baked, not fried so you get none of the excess unhealthy oils. Great for on-the-go snacking or served with dips, it’s the snack everyone can enjoy on any occasion. Find this wonderful Asian rice crackers brand and other well-loved Asian snack brands only here at Ettason, your trusted provider of quality Asian cuisine products.